These are labels I created for soaps I've made. I designed each one specifically for where they were going to be sold. I had over 8 different scents and colors and even had limited editions for the holidays. 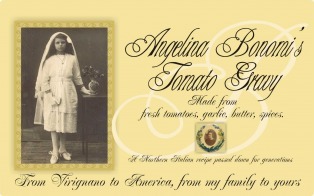 I created this label for a tomato sauce recipe I was trying to perfect. I based it on my Grandmother's wonderful "no-recipe" sauce, but, sadly, never got it as good as hers. Isn't that always the way? Both my Grandma & Grandpa were very special people in my life and I wanted to honor them in some small way. 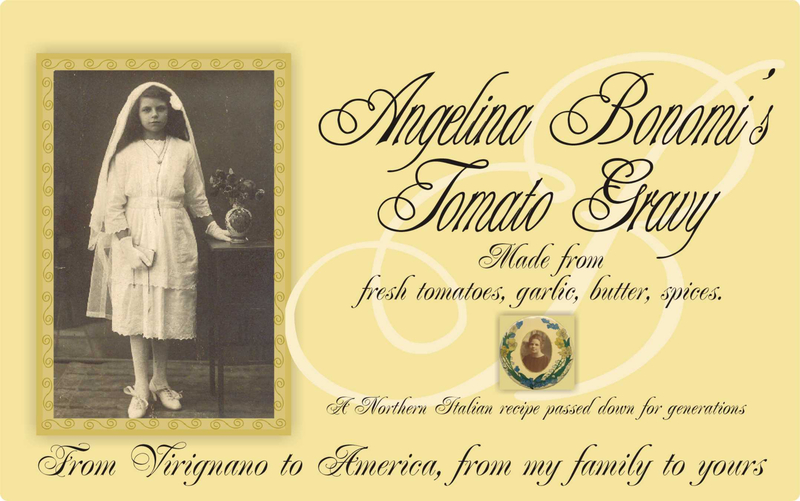 Both the beautiful pictures are of her, Angelina Bonomi. I have created various themes using the large ponderosa pinecones as the tree base. This one I used shells gathered from one of my trips to Sanibel Island. It stands about 14" tall.